Retraction: (n.) withdrawal of a promise, statement, or opinion. “Oh no. Hide your face!” hissed Pirjo. I pulled my hood over my curly hair and peeked out the car window at a tiny old lady walking across the parking lot. From where he sat next to me in the back seat, my friend Mark started humming “Mission Impossible.” Conspiring with my sister behind my back to figure out my whereabouts, Mark had hitchhiked across Europe, wandered 20km in the wilderness with two oranges and a box of crackers, and surprised me quite literally at the end of the earth. By doing so, he had also landed himself in the middle of a top secret operation. In an effort to allow Solange to scatter her mother’s ashes in peace, the Lappish Gold Prospector’s Association and I had announced to the world that she was not coming. Yet here we sat at the airport, hiding from a tiny old lady in the parking lot. “She posts on Facebook ten times a day,” said Pirjo, and for the first time I felt painfully aware of my colorful wardrobe choices. A week before I had first set foot in Lemmenjoki to meet the gold prospecting community, and I knew immediately that with or without me, Solange needed to experience this place. It looked different than the ranch where I had first met Solange and her husband Peter, but its wild, rugged beauty had a similar feel. This was a place where she belonged. Now, faster than I had imagined, it was happening. Inside the airport, Pirjo paced back and forth. I was nervous too, but for a different reason. I felt partially responsible for the reporter showing up at Solange’s house, and was both excited to see her and afraid I had let her down. When she walked through the sliding doors I hugged her. “Ok, don’t squeeze the life out of me,” she said. I smiled. She was the same Solange as always. The next day, we traveled to Lemmenjoki to return Petronella’s ashes to the land she loved. The morning was cold and bright, and on the boat ride to Kultahamina an osprey rose up from the trees and flew alongside us for a long while. “I can really see why my mom loved this place so much,” said Solange. Driven by Jouko and Pirjo, we rode ATV’s up to Morgamin Kultala, the claim where Petronella had worked and lived with the fathers of the Lemmenjoki gold rush, Jaakko Isola, Heikki Kokko, Kullervo Korhonen, Jukka Pellinen, and Aaro and Niilo Raumala. 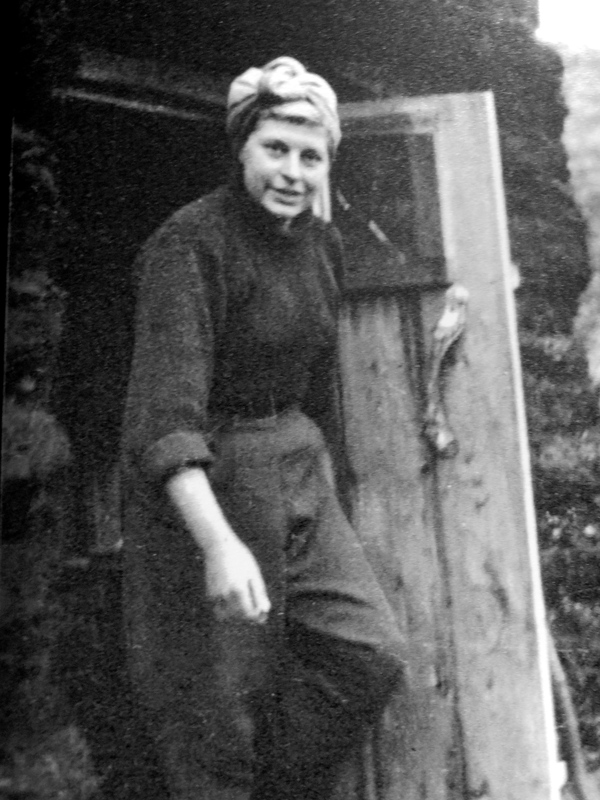 We shared lunch with some current-day members of the gold mining community, and Solange took a picture outside the remains of the sauna, a nod to the iconic photo of Petronella from 1949. Up on top of the fell, we stood overlooking Petronellan Kukkulat (Petronella Hills). “How do you say goodbye?” asked Solange, and though I knew she was asking for the Finnish word, I felt the full weight of that question. “Nakemiin, Mommie,” Solange said simply, and with a sweep of her arm, her mother billowed out to rejoin rocks and the wind and the open sky. We stood in silence, looking out at the hills. When I finally met Solange’s gaze, there were tears in her eyes but also a fierceness. Van der Moer women are made of something ancient, something unbreakable. I lifted my shoulders a little higher. That night in the Inari cemetery, the Lappish Gold Prospectors held a small ceremony to honor Petronella. Jouko gave a beautiful speech, I sang a couple songs I had written, Solange said a few words, and people shared memories and stories of the way Petronella had affected their lives and the lives of their children. We walked between the gravestones of former gold mining legends. When the time came to scatter Petronella’s ashes among her old friends, Solange looked at the sky. “Any favorites, Mommie?” she asked, and we all laughed. If there is one thing Petronella would have wanted at her remembrance, it is humor. The ceremony was intimate, graceful, and full joy and sadness in equal parts. I knew we would all remember it for the rest of our lives. On Thursday they announced a surprise guest at the 65th meeting of the Lappish Gold Prospector’s Association in Tankavaara, and the crowd went wild. Petronella was adopted into the association as an honorary member, Tytti presented Solange with a beautiful pendant she had made of Petronella Hills, I sang a song I had written for the gold community, and 65 years after Petronella had served coffee at the first Lappish Gold Prospectors meeting, her daughter served cake. I watched as some people went through the line two, then three times. Solange gave an exclusive interview to a young woman named Vilma from Lapin Kansa, which, as a jab to her favorite top reporter from the Helsingen Sanomat, gave her great satisfaction. And when all was said and done, we poured out into the mosquito-filled night, lit by a rainbow. 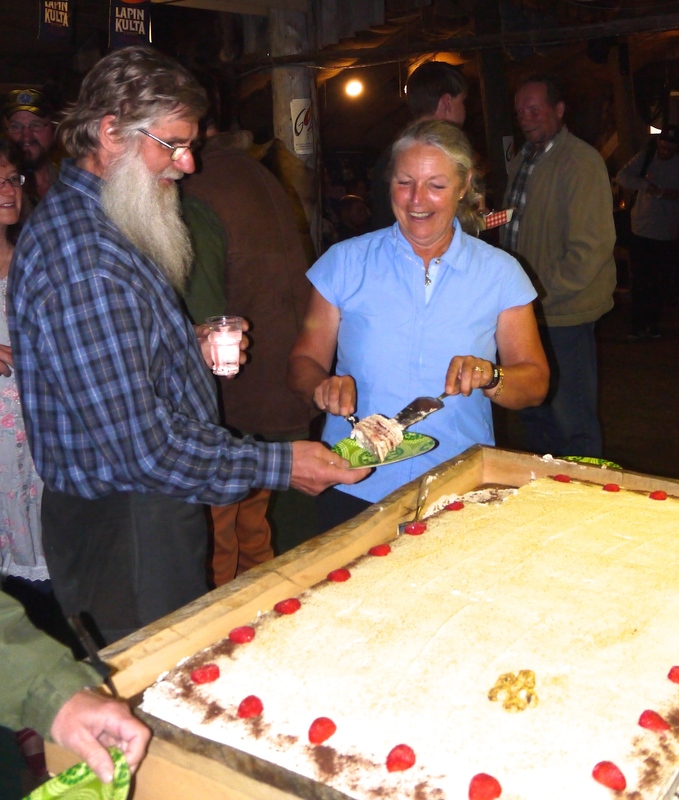 The festivities continued throughout the weekend to the Finnish National Gold Panning Championships, but that is for another post. Now, I am left with the beautiful, terrible responsibility of rendering what lies at the core of all that has happened onto a page. It will probably take me a long time, if I ever get it right. 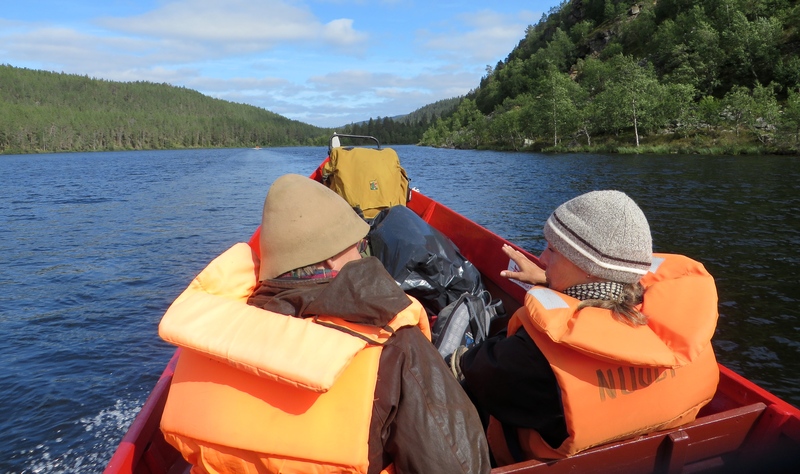 At this moment, what I know is this: Petronella (and now I, and likely Solange) loved two things above all in Lapland – the land, and the people. “God, just hugging Aki or Mullis is enough to make me cry,” Solange said to me at one point, and I knew exactly what she was talking about. 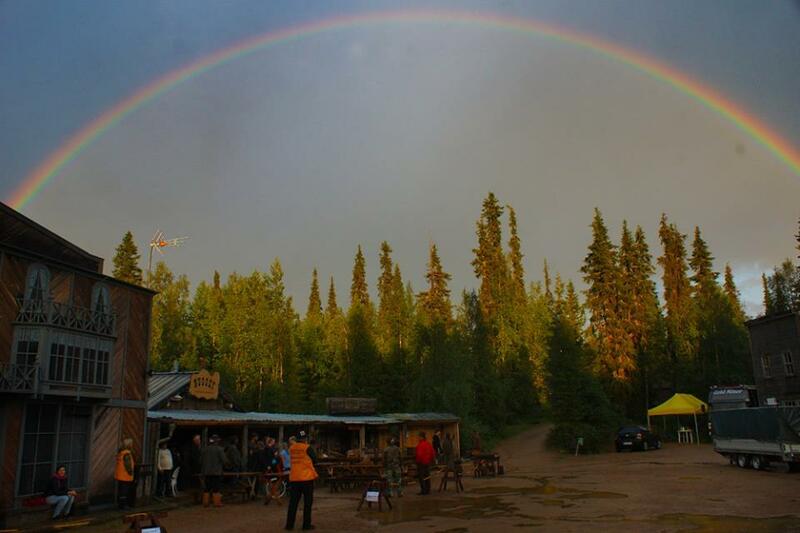 The Lappish gold mining community is one of a kind. These people give up comfort and security to live big, brave lives close to nature. If someone needs help, the whole community shows up at their doorstep, ATVs at the ready. They are tough, wild, hilariously funny, totally weird, and above all – kind. Gold is important to them, but it comes third behind their genuine care for the land and other people. In the same way, Petronella has returned to the people she loved, but she is a small part of something much greater. I feel confident that I can speak for Solange when I say that we are honored to be a small part of it, too. Today I walked down to the river, the thing that connects the three of us – Petronella, Solange, and I – most strongly. (“Water babies,” Solange calls it.) I sat listening to the music the water makes pouring over the rocks, and at last, I allowed myself to cry. The water in the river is on a perpetual journey. There is nowhere it cannot go: up into the sky, through the air, below the ground, pumping through the veins of living things, flowing downward, moving rocks and houses and all things once thought to be solid. Here, I am connected to something ancient, moving, deeper, something – again – far greater than me. It can hold me, it can ruin me, it can give me life and take it away. It is more than my match. It runs, and my restless soul doesn’t have to. I think I too understand what Petronella felt in this place. 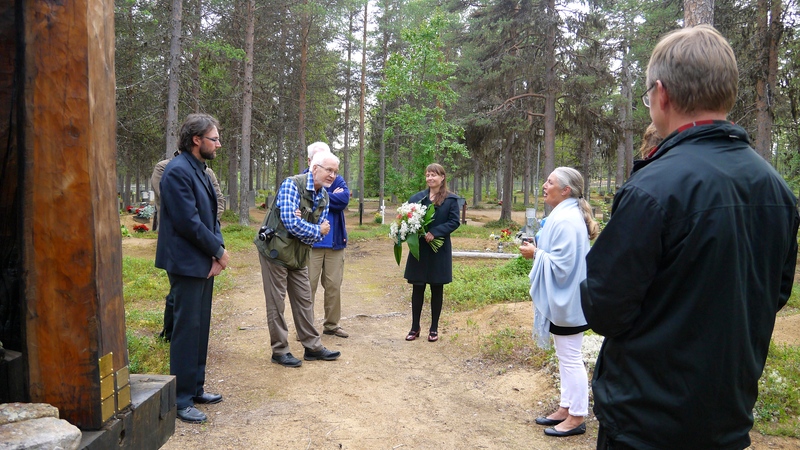 At Morgamoja, where she lived with the gold miners in 1949, Jouko asked Solange to find a rock to place on the gold prospector’s monument in the Inari cemetery. Together, we chose one from the river. At times during my journey, I have felt as though I was chasing a ghost, blindly following someone else’s memory through Finland. Driven only by my own inner compass and written stories about Petronella’s journey, I often felt lost. Now, with Solange’s presence and Petronella blowing across the windswept fells of Lemmenjoki, it feels I have found her. It is no longer her legend that lies within us, it is her spirit. Beautiful post. I’ve been enjoying following the journey and am so happy to read that you got to accomplish this without the pesky media getting in your way. Congratulations and best of luck on the remainder of the journey! I rejoice in the completion of a memorable task with an abundance of new friends. Smiles all around. Thank you Jenny, well done. Petronella’s legend is still going strong and now you are part of it. Gold people are living quite hard times and i hope, this episode brought some light to them. With wet eyes, I read your text about “Finding Petronella” I wish I had been with you all there !! Beautifully written and reflects the warm, loving and beautiful soul that was/is Petronella, whom i have always known as Anne. My life was truly enriched and blessed by the short time that i got to know Petronella and Solange very well. 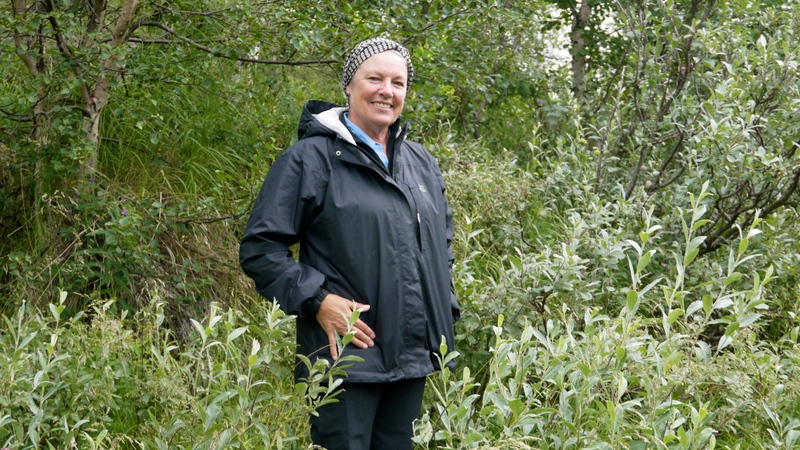 Patronella has left those whose lives she touched, and the world, a better place.